ADDISON & CO LTD Established in 1873 is the India’s Largest Manufacturers of High Speed Steel Cutting Tools, AN ISO 9001- 2008 & 14001 accredited Company, Manufactures of wide range of PRECISION ENGINEERING PRODUCTS at Ultra Modern Integrated Plant at Irungattukottai. 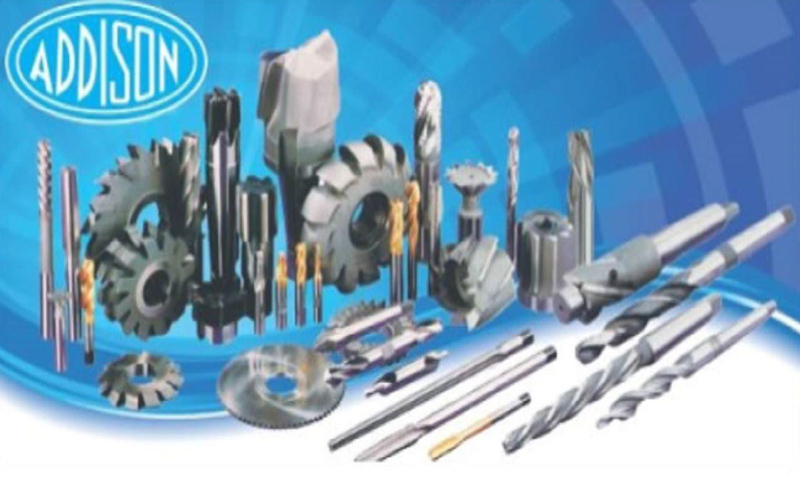 The State-Of-The-Art Manufacturing Technology, Well Equipped Metallurgical Lab., Tool Tech Centre [R & D], Cnc Machines and Total Quality Control have put Addison Metal Cutting Tools on par with Best Brands of Cutting Tools in the World. TWIST DRILLS-PARALLEL SHANK AND TAPER SHANK. c ] Drill Point and Tap Lead Attachment.